Since 1990 V&M, and subsequently, Valmoto-supported riders have enjoyed enormous success in the major public roads racing events. Jack Valentine's teams of staff have tuned machinery and managed winning teams at the Macau GP, North West 200, Isle of Man TT and the Ulster Grand Prix. This participation culminated in the ultimate success during 1999 and 2000 when the privately-funded team of David Jefferies and Iain Duffus. The team dominated proceedings at the TT, Ulster GP, North West 200 and Macau in 1999 with Jefferies scoring victories at all three events. The team returned to the events the following year when Jefferies was able to record a trio of outright lap records at the circuits. 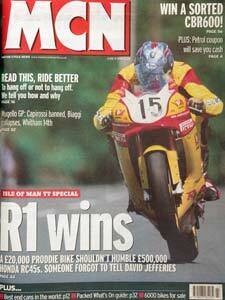 2003 brought further success for Jack Valentine when Bruce Anstey secured victory at the Isle of Man TT for Truimph Valmoto.